Sushant Singh Rajput not only gained popularity as an actor on television but also as a dancer after he participated in reality shows. And now, he was super thrilled to collaborate with the award winning choreographer in Bollywood, Farah Khan. This is for his next, Kizie Aur Manny which marks the directorial debut of casting director Mukesh Chabbra. Going further, reports have it that Farah Khan was actually fulfilling a promise that she had made to Mukesh Chabbra quite some time back. It seems that the choreographer turned filmmaker, who has known Mukesh for many years, had told him that she would choreograph for his debut directorial. Incidentally, Khan kept her word and fulfilled the same in Kizie Aur Manny. We also hear that the song was wrapped up quickly. After a two day rehearsal, the song was reportedly wrapped up in two hours. In fact, the last take was completed in one shot itself. 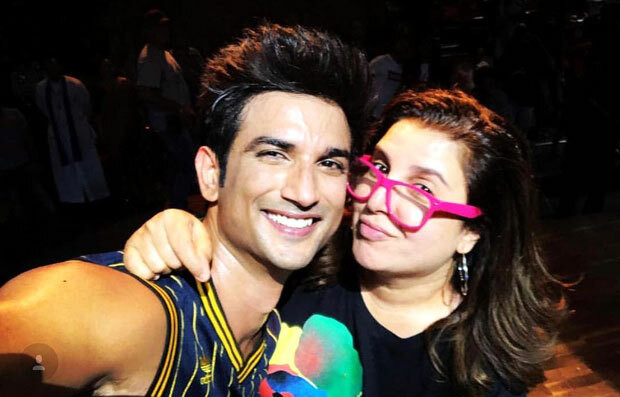 Farah stated in reports that she was able to wrap the dance number quickly also because Sushant is a great dancer. Coming back to the film Kizie Aur Manny, it is produced by Fox Star Studios and also stars newbie Sanjana Sanghi.